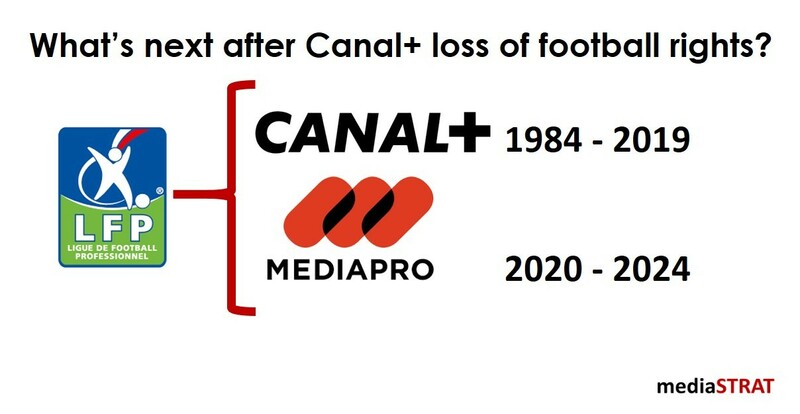 Even if Canal+ negotiates a sublicensing deal and aggregates the new dedicated Football channel to be launched by mediapro with its own channels and beIN Sports it is a further major blow and is putting the overall business model at risk. The market trend is more toward skinny bundles and the combination of different subscriptions then mega packages. It is also very bad news for the French movie production industry that receives very significant funding from Canal+. Canal+ owner Vivendi decision to stop the German VOD service Watchever has shown that Mr Bolloré is able to make harsh decisions. This may lead to a further merger with Canal+ with its solid African business making its way into the Sky / Disney or Comcast conglomerate or other interesting combination. Times have changed since Arena controlled by Unity Media that was awarded the Bundesliga rights for 2007 to 2009 gave up a year later and sold them back to what later became Sky Germany. New distribution methods are changing the odds and lowering the entry barrier for new entrants. The lack of highly scalable OTT platforms and overall available internet bandwidth to distribute over OTT major sports events (not just the Mayweather vs. McGregor fight) will eventually get sorted. DAZN in its current business development mode is ramping up in different territories and manages to secure rights at high prices against established media groups. Traditional local broadcasters and international media groups need to heavily invest both to modernize their linear business and in the upcoming digital one while generating profit for their shareholders. New entrants have very different midterm business objectives. They are primarily looking to grow their subscriber base and outpace competition with the best possible content money can buy. Burning loads of cash does not seem to bother them or their investors too much. A look at the market capitalization shows that Amazon’s weighs about the same as Disney + Warner + Fox + Comcast + Liberty + Vodafone + RTL + ProSiebenSat.1. There is no question that Amazon has the platform, the subscriber base and the marketing dollars to become the absolute champions in the Sports arena but will they want or (or when). next post: The day(s) after Amazon bought Football Premier League rights!